Advice on local running groups, where to start and who to go to for advice will be collated through these pages. 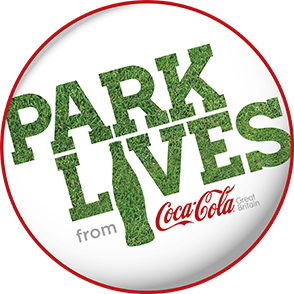 We are working closely with Active Parks through ParkLives and Run England to provide support to get the local community healthy and active. We have a running group called The Boathouse Runners which meets at 8.30am and 10am on Sundays in Handsworth Park, which is led by our UK Athletics Run Leaders Tonia Clark, John Clinton, Tony Hayes, Roy Greaves, Chan Nandhray and John Hayes. We meet by the Boathouse, located by the Hamstead Road entrance to the park. Details are below. If you would like more information you can sign up for our fortnightly email newsletter below or you can email peteyhworth10k@outlook.com. If you want to join us for the first time, it will help speed things up if you could print this form to fill in and bring along with you. Don't worry if you can't, we always have copies and the first time you come will be the only time you have to fill anything out. 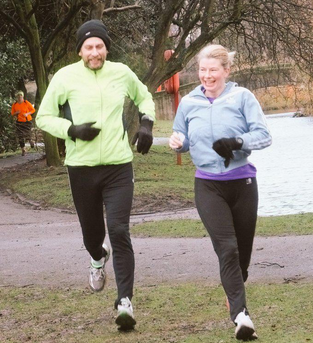 Two of our run leaders, Tony and Tonia, taking part in the Perry Hall Parkrun.